Travellers in South India, especially those exploring sights slightly off the Western coast, rarely miss out on Mysore. The magnificent Mysore Palace, a landmark of the city, as well as numerous bird sanctuaries and nature reserves are not the only reasons which bring international and Indian travellers to this city. Mysore is one of the main Indian cities to attract yoga students from all over the world who spend a few weeks, months and sometimes even years learning this ancient science from the source. One of the healthiest and lightest breakfast in South India. Idlis are steamed cakes made out of rice and and gram (lentil) flour. 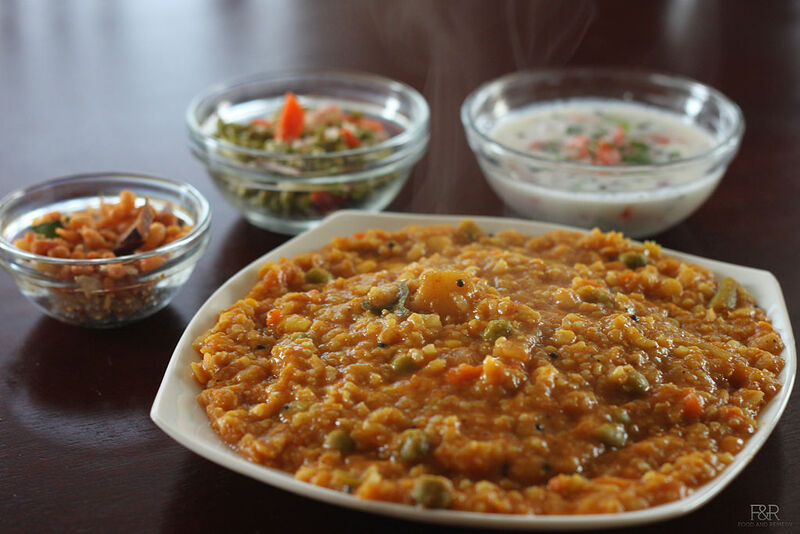 Served with a spicy lentil soup (sambar) and coconut chutney (the spiciness of which varies according to restaurants). You can also order “sambar ildi” – then idlis will be dipped in a bowl of sambar and the dish will rather resemble a soup. 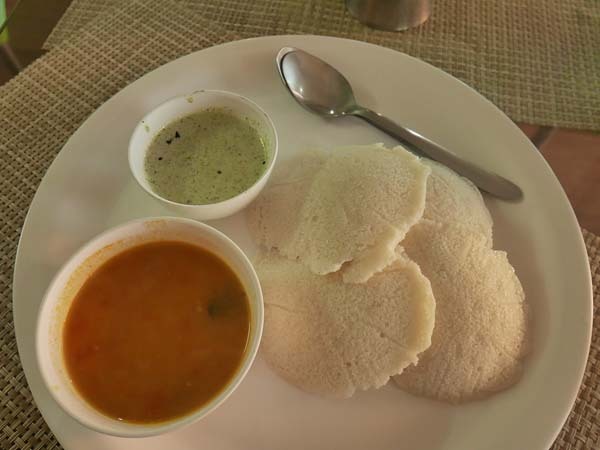 One of the famous variations of idli is rava idli (made with semolina instead of rice and gram flour). Vada might look to you like a donut – but don’t get fooled, a pleasant savoury taste of it might be quite far from the sweetness you would expect! 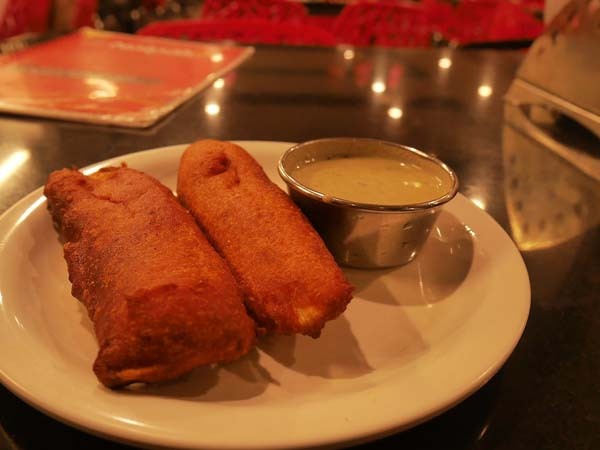 Vada is made from a mixture of black gram (lentil) flour, cumin, curry leaves, sometimes onions and chilli, and it is the deep-fried to a crispy crust. 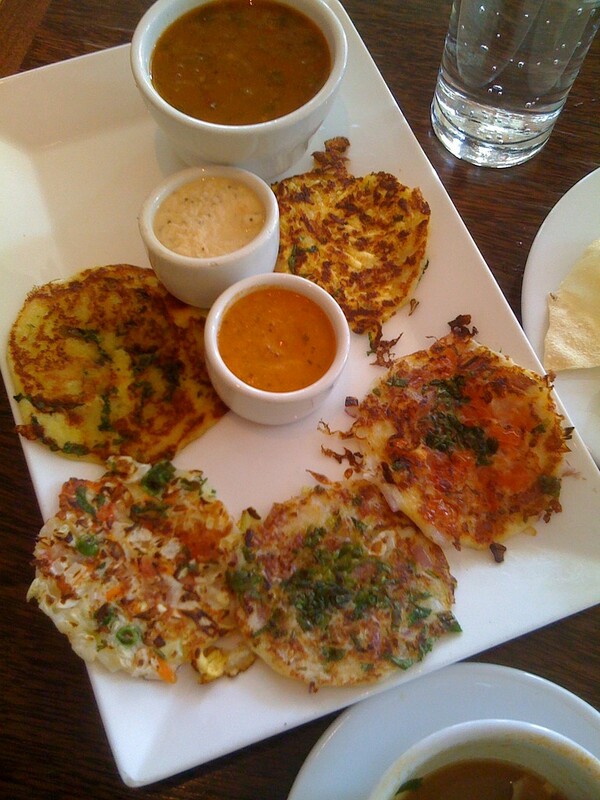 Like ildi, vada is served with a spicy lentil soup (sambar) and coconut chutney. You will often see locals saying shortly to a waiter “idli-vada”, as it is the most popular combination for breakfast. 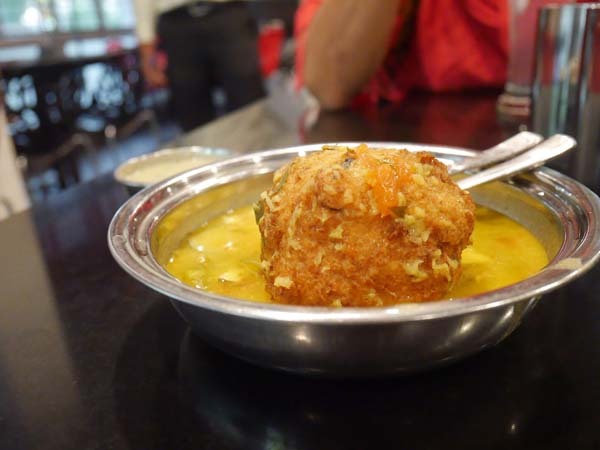 Ask for “vada-sambar” if you want it to be dipped in a bowl of sambar, like a soup. – potato (aloo) bonda: the core of this delicious bonda is a mashed potato spiced and mixed with a generous amount of dill. The mash is then made into balls, dipped in lentil flour batter and deep fried into golden crispy balls. 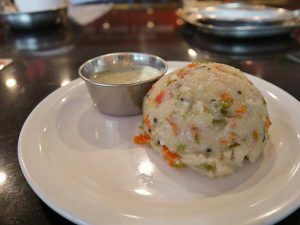 Khara Bath, also known as Upma or Uppithu, is a typical South Indian breakfast. 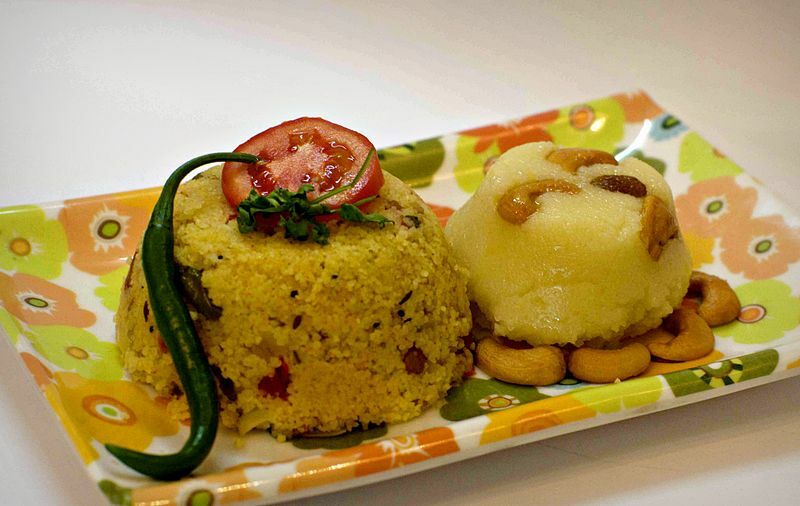 It is made from semolina (coarse, purified wheat middlings), which is roasted with vegetables and spices. It is just like a savoury porridge and is usually never prepared too spicy. Sometimes it is served with coconut chutney. Kesari bath is a sweet dish which is also cooked from semolina, but together with sugar and saffron, and then topped with ceshews. It is also a popular breakfast item and it is often served together with Khara bath. When served together the dish is called Chow chow cath. 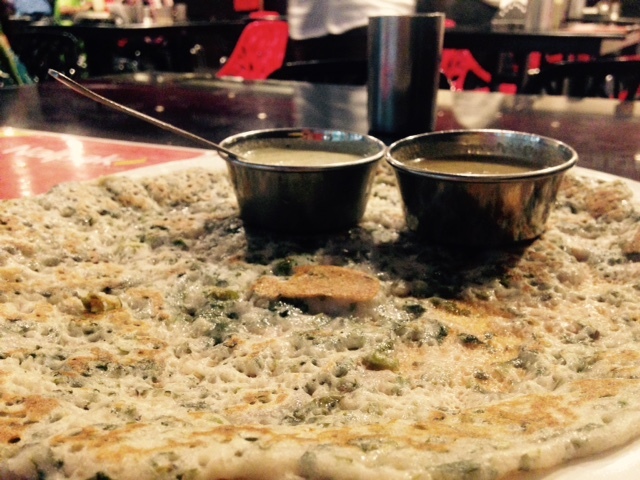 Uttapham is made with a fermented dough from rice and lentil flour (like dosa). It looks like a thick pancake and is topped with vegetables like onions, tomatoes, carrots, chilli, coriander and sometimes even coconut. Poori is served for breakfast not only in Mysore, but throughout India, in different variations. 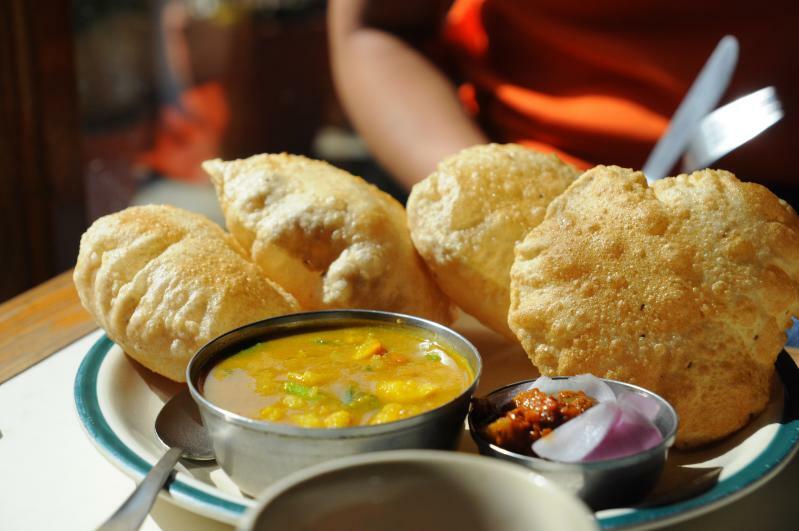 Poori (or puri) is a soft, deep-fried puffed bread, which is served with a flavourful vegetable curry. Shavige bath is somehow similar to Khara Bath/Upma in preparation, but the base ingredient is different. It is made from thin and light vermicelli, mixed with vegetables and nuts, and made flavourful with curry leaves, mustard seeds and tumeric. This light and delicious breakfast is served with coconut chutney. 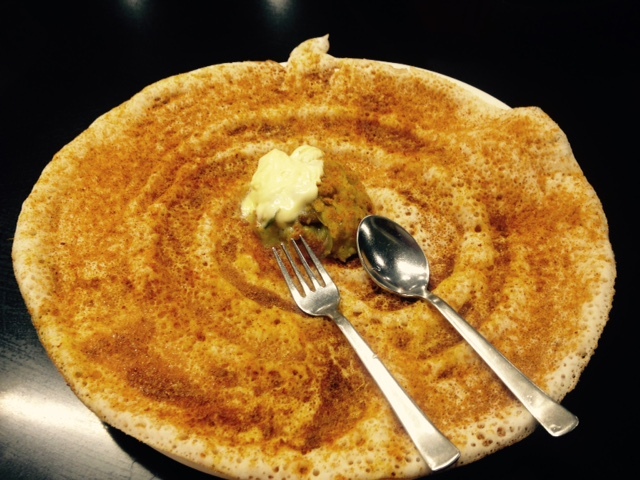 Mysoreans like their dosa rather thick and buttery, with spiced potato (masala dosa) or other vegetable (saagu dosa) inside. It is also laced with a thin paste of groundnut. Traditionally it is served on a banana leave with a coconut chutney. 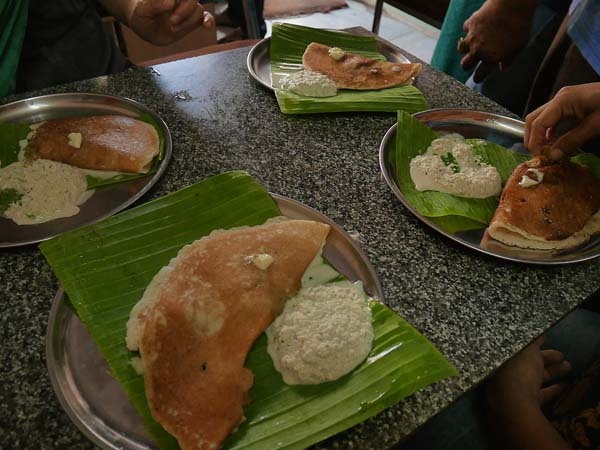 The most famous place to try Mysorean dosa is Mylari Hotel in the city: a legendary place, which only serves dosas, produced at a rate of 400 pieces an hour. 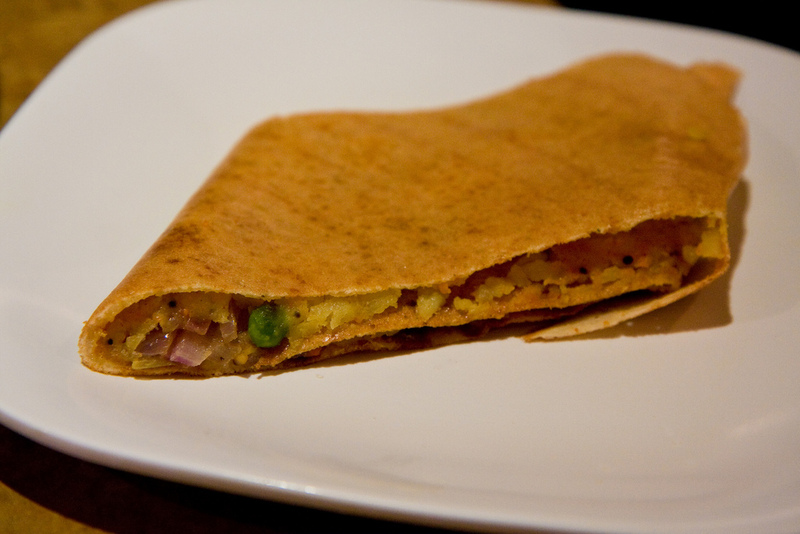 Unlike a typical Mysorean style dosa, paper dosa is extremely thin and crispy. It may be enormous in length (up to 1 m), but actually the amount of dough used is almost the same like for a Mysore dosa, it is just spread differently. 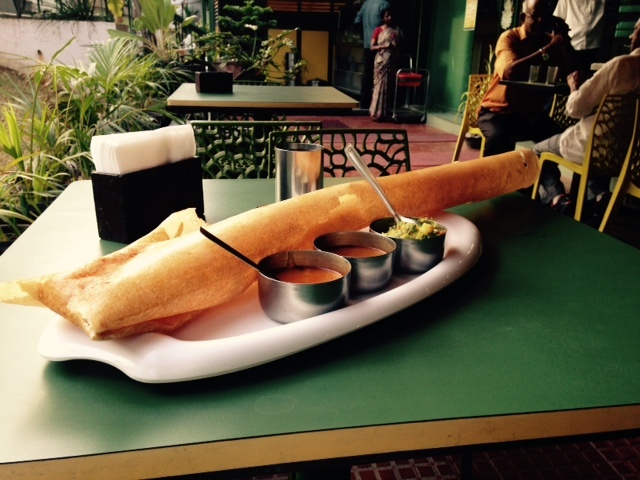 As the name suggests, it’s a dosa made from semolina, instead of rice and lentil flour. 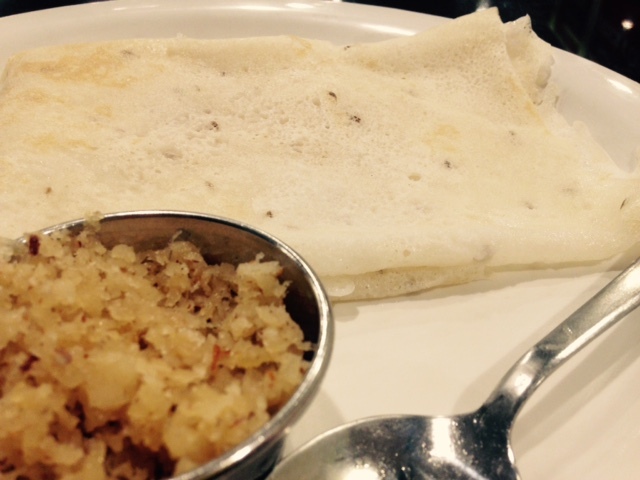 Neer Dosa is the only sweet and rather light variation of dosa (“neer” means “water”). It is extremely thin and soft, and it is made out of rice flour only. It is mostly served with sweet coconut, mixed with cardamom and sugar or jaggery. The most common dish to eat for lunch is Thali. It consists of not one, but several dishes, served on a huge plate, mostly accompanied by a variety of Indian breads and rice. 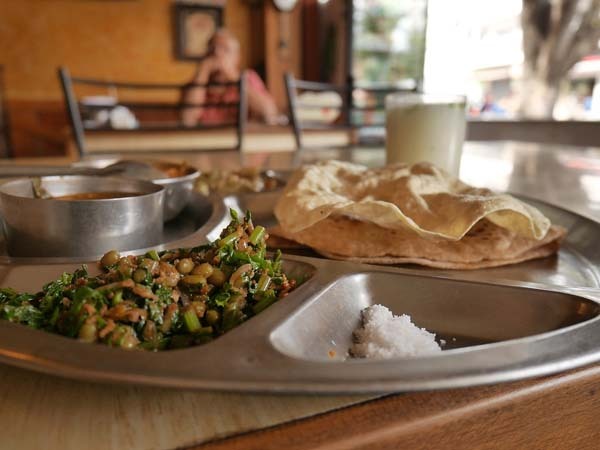 Thalis can vary in size and price tremendously, featuring between 5 and 20 dishes on one plate and costing anything between 50 and 700 rupees. 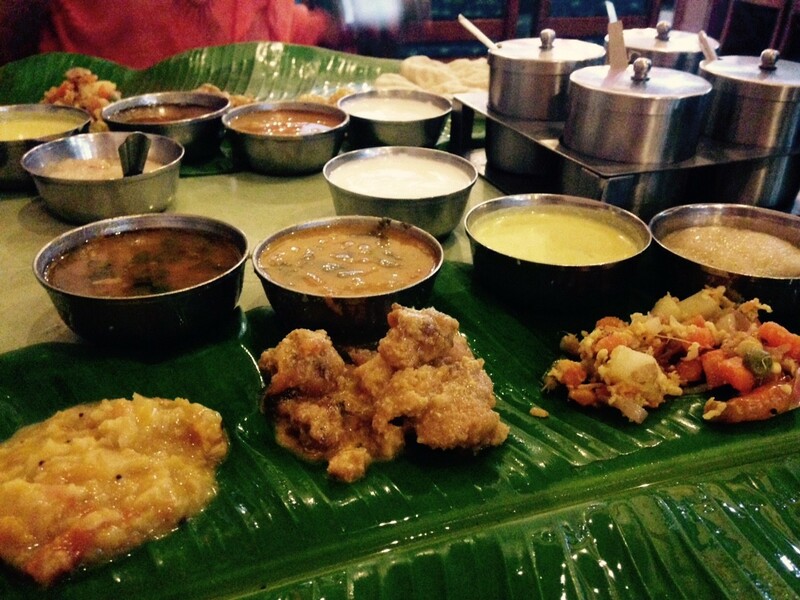 Most local Mysorean restaurants will serve a vegetarian thali. You would need to look specifically for non-veg options. 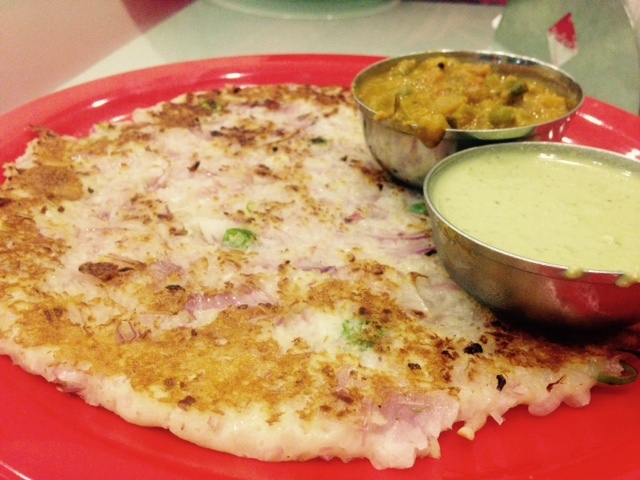 Mysore is known for its Brahmin community and their restaurants serve delicious South Indian food. 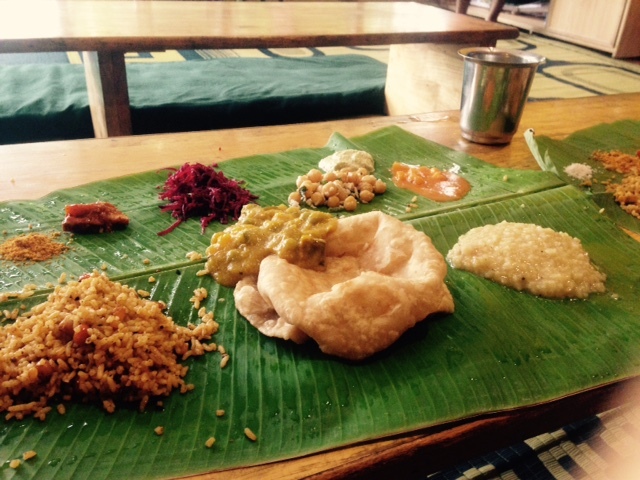 Lunch is served on a banana leaf, but the dishes differ from other Mysore thalis. The cuisine is strictly vegetarian, they also do not use onion and garlic in their food and give preference to spices with strong medicinal properties. Coorg (Kodagu district) is a region which lies merely 100 km away from Mysore. It is known for its coffee (which is highly recommended!) and hill stations. Coorg cuisine is very different from Mysorean but is easily available in the city – it serves as a favourite alternative for thalis and dosas. On the contrary to Mysorean food it is rich in meat. Some of the most popular things you can try are (from left to right): (1) Pandi curry with Kadambuttu (pork curry served with rice balls); (2) Fish fry. 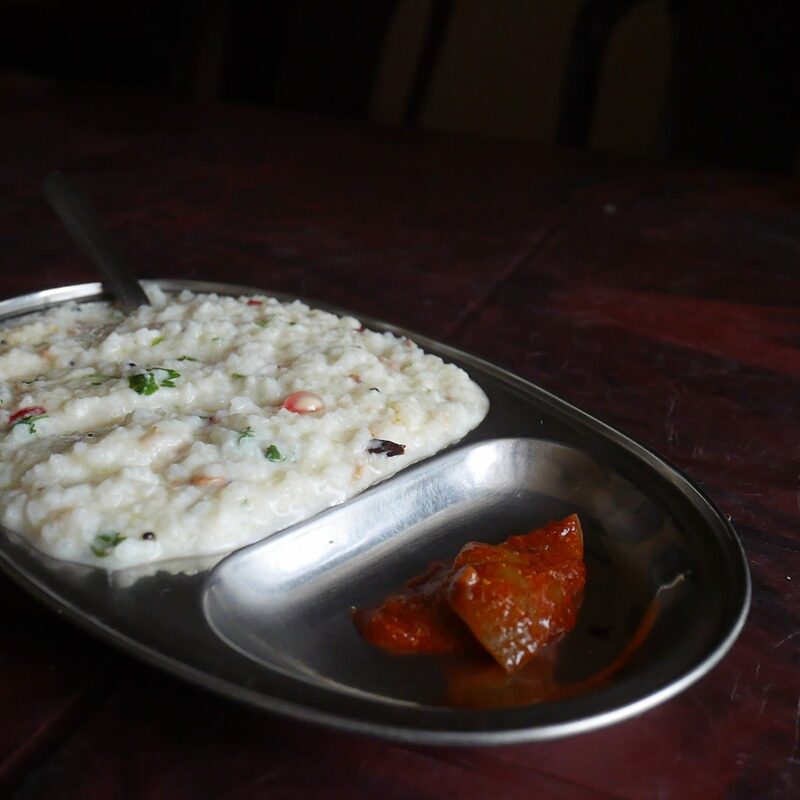 There is a big variety of rice dishes which are unique to Mysore. Even though they can be eaten throughout the day, in good places they might be sold out by early lunch time. Possibly the most favourite of all daily rice preparations for Mysoreans. It is transalted as “lentil rice” and is made of rice which is cooked with lentils and tomatoes, forming a spicy porrige-like dish. 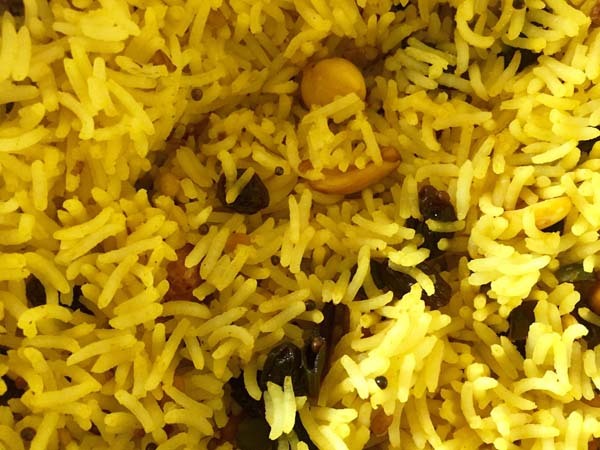 Chitranna or lemon rice is another rice dish, which is cooked with urad and channa dal. It is tempered with curry leaves, mustard seeds and, as the name suggests, it is seasoned with a big amount of fresh lemon juice, that gives it a slightly sourish flavour. It is served both as a side and main dish. 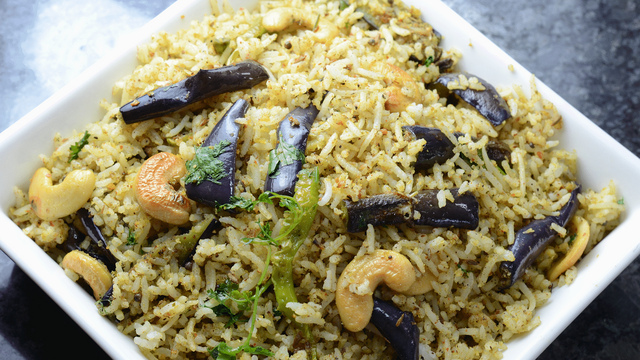 Considered to be a favourite of the Brahmin community, vangi bath is a spicy preparation of fried rice with brinjal. Tamarind rice is a dish which will be easier to find in local kitchens than restaurant – in Mysorean homes it is one of favourite staples. 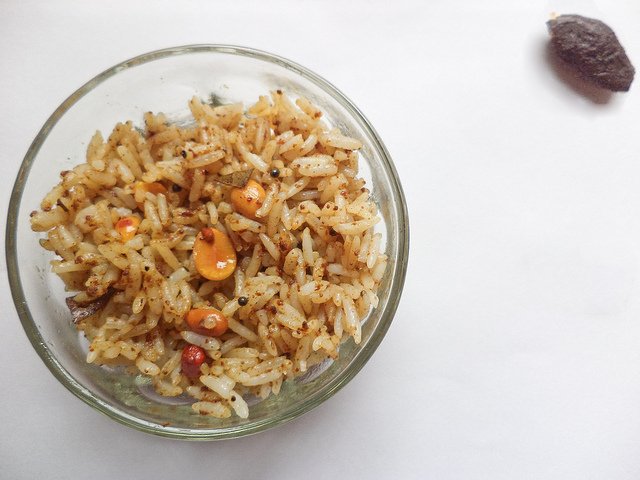 It is a spicy preparation of rice, seasoned with a thick paste of lentil, tamarind and a variety of spices. A savoury rice porridge, prepared with yoghurt and tempered with urad dal, cumin seeds, curry leaves and mustard seeds. It is topped with chunks of coriander leaves, pomegranate seeds and served with a pickle. Keep in mind that “chai” doesn’t imply a spiced tea. How do you find the best cup in town? There are no rules, but make sure that it is served from a boiling pot and not from a thermos. Indians are kings of snacks – spicy or simply salty snacks are as popular as sweets. As mostly your cup of tea will have a generous amount of sugar in it, tangy snacks taste the best with it. You will see huge transparent plastic jars at the tea stalls, which are filled with cookies, cakes, and crunchy snacks in weird shapes. 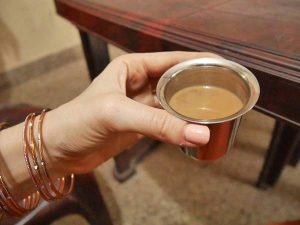 The ones which are made in a circular/spiral shape, or look like tiny sticks with spikes, are the ones you should go for to enjoy your chai just like a local. 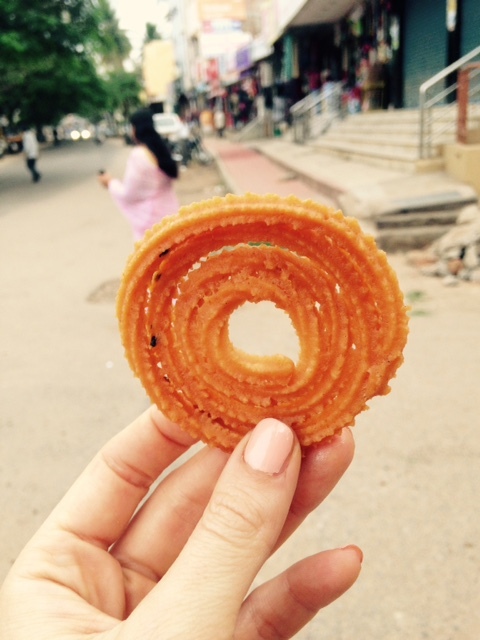 The one in the picture is called chakli: it is made of lentil flour (mostly chickpea or black gram), slightly spiced and deep-fried. 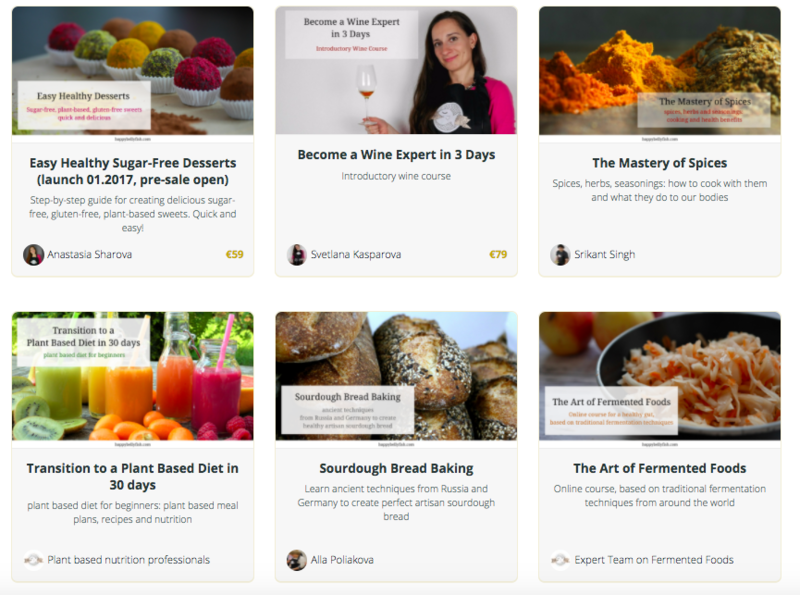 Once you start eating them – you just can not stop! Mysore pak is the most famous sweet of Mysore, which is unique to this city. 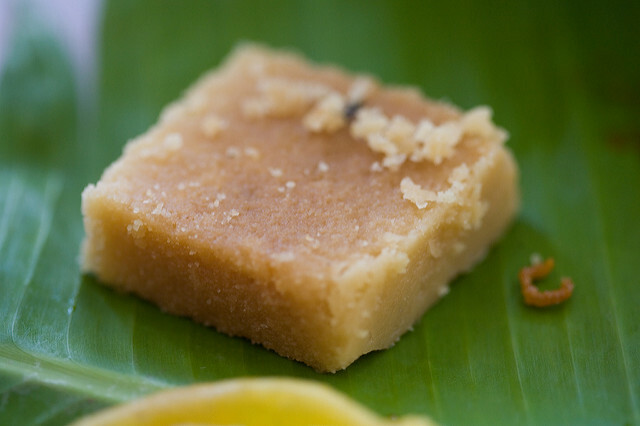 It is made of gram (lentil) flour, ghee (purified butter), sugar or jaggery and cardamom. It is soft and fudgy and it literally melts in your mouth! Bajji or pakora is one of the most famous Indian snacks, which is widely spread all over the country. It is prepared from a vegetable, which is dipped in a chickpea butter and deep-fired. Most popular vegetables used are big green chillis, raw bananas, cauliflower, potato (in the picture you see banana bajji). Chaats are savoury snacks in general, and even though it claims its origin in Uttar Pradesh, it is widely spread and deeply loved all over India. 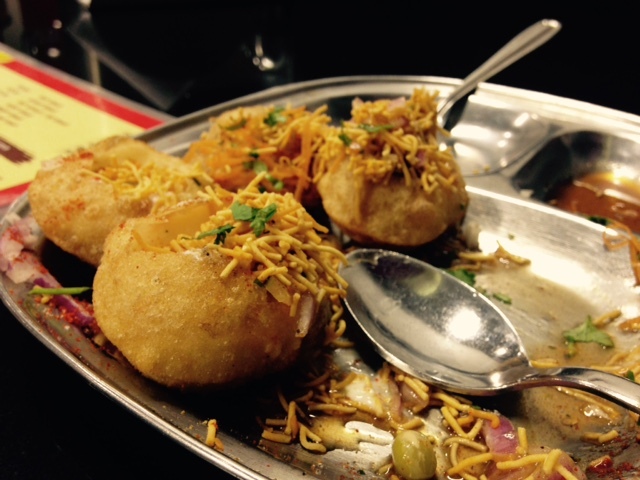 Chaats are street food, but are now largely served in the restaurants as well, where they are safe to eat. In restaurants in Mysore you always see “chaat station” or a whole section of a menu dedicated to it. Mostly snacks are very rich in flavour and quite spicy. The one in the picture is called dahi puri: crispy small puffed bread, filled with onions, masala, yoghurt and spicy dried potato toppings. 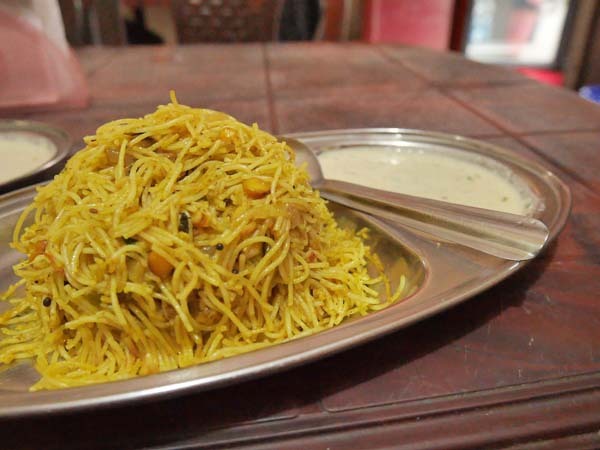 Do you have other favourite foods in Mysore which you think we missed out? Let us know in the comments, and we will gladly add them! Your research is extensive on food items, but not all Indian food, especially served in Ondian restaurants, are healthy. 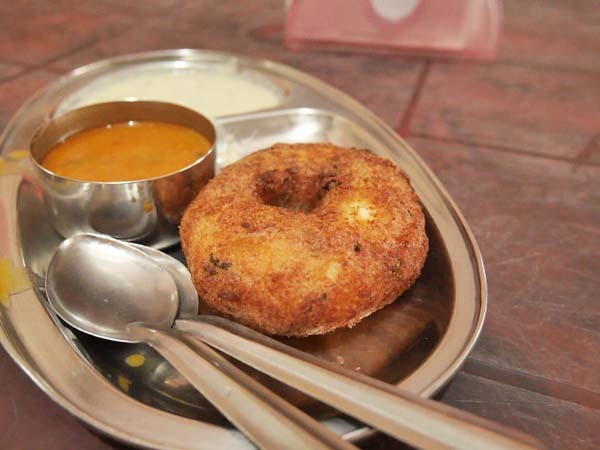 Vadai, bajji are deep-fried are to be avoided by yoga aspirants. The most healthy food is served at some of the welllnown ashrams: Sivananda ashram in Rishikesh. Paramartha Niketan also in Rishikesh. Some ayurvedic centers who give nutritious food: Nagarjuna Ayurveda in Kaladi, Kerala, Vaidyagramam in Coimbatore. ALL Sivananda ashrams all over the world provide very healthy food from organic sources. This is from first hand experience. There is more to be said. So you can contact me.